Freda Charcilia Payne (born September 19, 1942)[nb 1] is an American singer and actress. Payne is best known for career in music during the mid–1960s through the mid–1980s. Her most notable record is her 1970 hit single, "Band of Gold". Payne was also an actress in musicals and film, as well as the host of a TV talk show. Payne is the older sister of Scherrie Payne, a former singer with the american vocal group The Supremes.Payne was born in Detroit, Michigan, and grew ... See More up listening to different jazz singers, such as Ella Fitzgerald and Billie Holiday. As a teenager, she attended the Detroit Institute of Musical Arts; she soon began singing radio commercial jingles, and took part in (and won many) local TV and radio talent shows. In 1963, she moved to New York City and worked with many different entertainers, including Quincy Jones, Pearl Bailey, and Bill Cosby. The next year, her debut album, a jazz recording with arranger Manny Albam entitled After the Lights Go Down Low and Much More!! !, was released on the Impulse! label. (This album was re-issued on CD in Japan in early 2002, and again in the United States in 2005.) In 1965 she toured Europe for the first time recording an album in Sweden with Don Gardner and Bengt-Arne Wallin. In 1966 she released her second American album, again in the jazz style, How Do You Say I Don't Love You Anymore, for MGM Records. She also made occasional guest appearances on different television shows including The Merv Griffin Show and The Tonight Show Starring Johnny Carson. She added theatrical credits to her repertoire: she understudied Leslie Uggams for the Broadway show Hallelujah Baby in 1967, and appeared with the Equity Theatre in a production of Lost in the Stars. In 1969, her old friends back home in Detroit, Brian Holland, Lamont Dozier, and Edward Holland, Jr., persuaded her to sign with their newly formed record label Invictus. During that same year, her first Invictus single, "Unhooked Generation" (a minor R&B hit), was released. Shortly thereafter, Eddie Holland offered her a song entitled "Band of Gold", which he along with Brian Holland and Lamont Dozier co-wrote (under the pen name Edythe Wayne) with Ronald Dunbar. In early 1970, the song became an instant pop smash reaching #3 in the US and #1 in the UK for six consecutive weeks; it also gave Payne her first gold record. Global sales were estimated at two million. An album of the same name proved to be fairly successful as well. Other Invictus singles included "Deeper and Deeper", "You Brought the Joy", and the Vietnam War protest song "Bring the Boys Home" (U.S. Billboard Hot 100 #12, 1971; her second gold record. 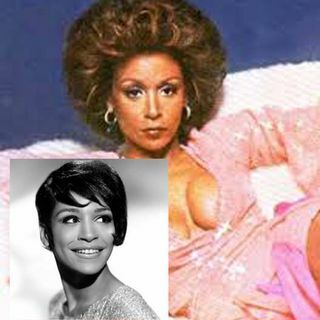 Her other Invictus albums were Contact (1971), The Best of Freda Payne (1972, a compilation which included four new, unissued songs), and her last Invictus album Reaching Out (1973).In 1973, she left Invictus and recorded albums for ABC/Dunhill and Capitol, but she never found the commercial success that she had enjoyed with Invictus. She recorded a duet "I Wanna See You Soon" with Capitol stablemates Tavares, which was a radio airplay hit in the UK in 1977. She released three disco albums for Capitol from 1977 to 1979, Stares And Whispers, Supernatural High and Hot. The first one features the disco hit "Love Magnet" produced by Frank Wilson (1977). In 1981, she briefly hosted her own talk show Today's Black Woman, and also found work acting in different movies, Broadway and other theatre productions throughout the 1980s. Although she was concentrating more on acting by that time, she never gave up music; in 1982, she recorded a single entitled "In Motion" for the Sutra label in New York, and in 1986, she recorded a remake of her old hit "Band of Gold" with Belinda Carlisle. In 1990, she recorded three songs for Ian Levine's UK Motorcity label: another remake of "Band of Gold," "Memories and Souvenirs," and "Only Minutes Away." In the mid-1990s, she released three albums for Dove Music: Freda Payne Sings the (Unauthorized) I Hate Barney Songbook: A Parody (1995, a comedy album), An Evening With Freda Payne: Live in Concert which featured her sister Scherrie Payne on background vocals, and her first (and only) Christmas album Christmas With Freda and Friends, which featured a duet between Freda and Scherrie (both 1996). She also continued her acting career appearing in the films, Private Obsession (1995), Ragdoll (1999), Nutty Professor II: The Klumps (2000), and Fire & Ice (made-for-TV, 2001). [4In early 2001, Payne released a new album entitled Come See About Me for the Volt Records label (the title track is a remake of The Supremes' hit). In early 2003, she performed in a show called Love & Payne, with Darlene Love at Feinstein's at the Regency in New York, and at the Cinegrill in the Hollywood Roosevelt Hotel in Los Angeles, getting excellent reviews. During the early 2000s, the following compilation albums of her music were released: Lost in Love (which includes nine of her post-Invictus recordings), Band of Gold: The Best of Freda Payne (both 2000), Unhooked Generation: The Complete Invictus Recordings (2001), and The Best of Freda Payne: Ten Best Series (2002). In late 2002, Payne appeared with many R&B stars on the "Rhythm, Love, and Soul" edition of the PBS series American Soundtrack. Her performance of "Band Of Gold" was included on the accompanying live album that was released in 2004. On April 22, 2009 Payne appeared on American Idol and sang "Band of Gold". In February 2010, Payne joined Kanye West, Jordin Sparks, Jennifer Hudson, Barbra Streisand and many more on We Are The World for Haiti Relief. In 2011 Payne recorded a duet, "Saving A Life", with British pop star Sir Cliff Richard for inclusion on his Soulicious album. She also joined Richard on his "Soulicious" tour of the UK in October of the same year. She sang the new duet with Richard along with her own hit "Band Of Gold".